Los Angeles’ THEY. 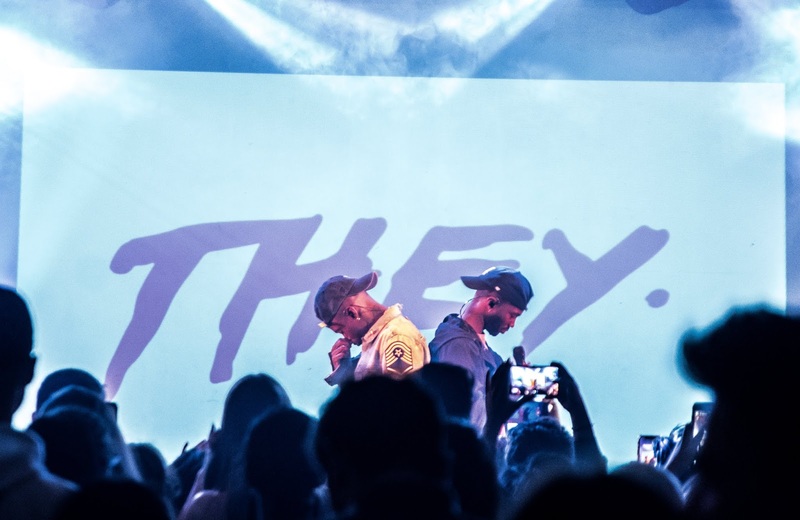 are in Australia for the first time supporting 6lack, but it was Melbourne’s turn on Thursday night to be treated to a headline performance from the duo. 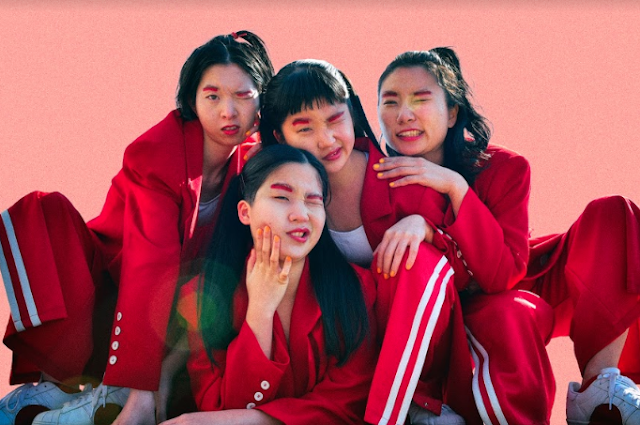 With the release of their EP Fireside fast-approaching on November 9th, their most dedicated Melbourne-based fans not only experienced some of THEY.’s most-loved tracks but also highly-anticipated new material. Though the crowd that gathered at Howler was much smaller and intimate than the crowds they would be exposed to during 6lack's shows, they were amped and ready. THEY. made their way onto the stage to the echoing and shadowy sounds of wolf howls, which represents their dedicated legion of fans called the 'wolf pack'. As soon as they hit the stage, they asked everyone to move closer to the stage, which helped with the atmosphere they set out to create. They started their set with ‘Africa’, which comes from their 2017 debut album Nü Religion: Hyena. After their thrilling opener, they moved into their sultry jam ‘Deep End’, which saw the room erupt into a sea of dancing bodies. During their performance of the track, Dante Jones and Drew Love oozed confidence and it was utterly infectious. Their performance also included a dose of alternative music, with their track ‘Rather Die’, which features guitar lines from Nirvana’s ‘Polly’. Their performance of this track provided a different (yet welcomed) energy and showed off their versatility. The next time THEY. return to Australia, there’s no doubt that they’re destined to play larger venues and to bigger crowds, and those who attended their show at Howler were gifted with a performance that will be etched in their memories for years to come. 2018, gallery, gig, howler, live, melbourne, review, they.